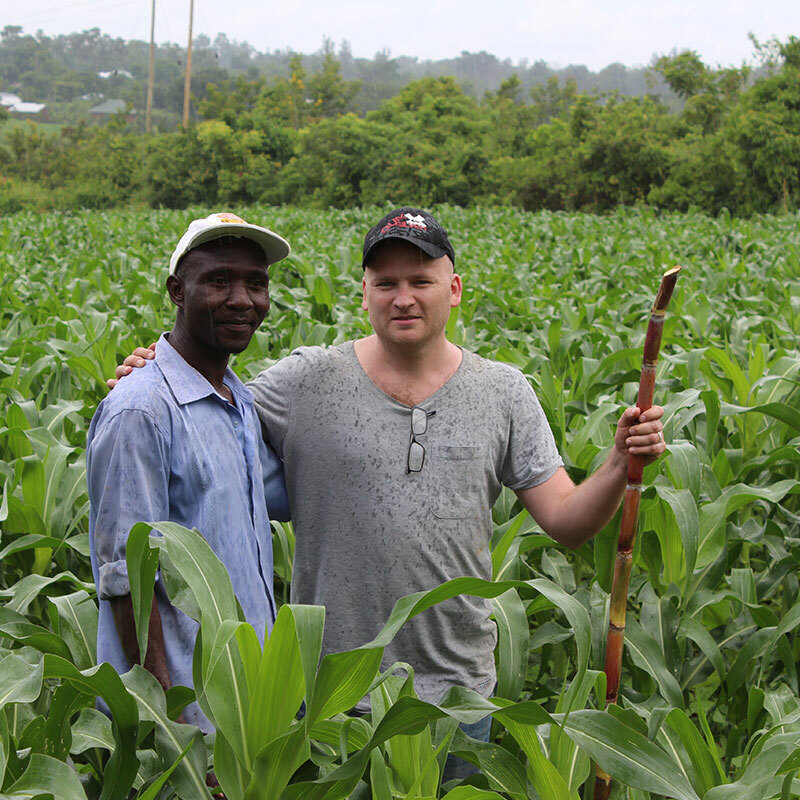 Working with small-scale farmers in Africa. Watch the video and find out how Momentum works in Kenya. You can volunteer as a high school student – and it will be the experience of a lifetime. Click on to read Emma’s story. Since 2014, we have given farmers loans in the form of farm inputs. Read more about our loan model. We engage in business partnerships with farmers to on the one hand give them an income source though sale of chia and to on the other hand give them the opportunity to improve their nutritional intake. We help farmers grow to new heights. We focus on growing highly demanded and nutrious crops, eg. Chia seeds. Proving good for both, climate, farmer and end-user. We believe that food is the reason for everything good. That’s why we believe that farming activities in low income countries are the best way to reduce poverty and create an independent life for the small-scale farmers. We combine agricultural projects with business strategies to increase the livelihoods of small-scale farmers. In our work, we hold ourselves to the highest standards. Transparency and legitimacy are essential factors in all of our undertakings. In time our farmers will be self-reliant, and Momentum must stabilize our business model in the best way to move the program in to other countries. Momentum Trust works with agricultural projects, through business strategies, in Africa. Momentum Trust was established in 2010 and by 2013 we already had established partnerships and worked with more than 440 small-scale farmers in Siaya, which is located in western part of Kenya. By 2016 we have grown to 730 farmers with a huge potential for further rains seasons in both Siaya and Kisumu. Momentum Trust is driven by the passion achieving development through business strategies which is also why the core meaning of ‘Momentum Trust’ is the movement and force that creates progress and help to self-help. We do this through loan packages, trainings and in partnership with small-scale farmers. Through the strategic partnerships with the farmers, transparency and our business model we seek to avoid donor and grant tendencies in developmental work. Instead we are fostering sustainable development, improve livelihoods and food security for and with the small-scale farmers in Kenya. Agriculture is gold to us, that’s why the presence of the Momentum team in Siaya and Kisumu is important in guiding and supporting the farmers in their farming and businesses activities.